Business-to-business transactions are not new to the market. What demands us to write and encourage you to read this post? 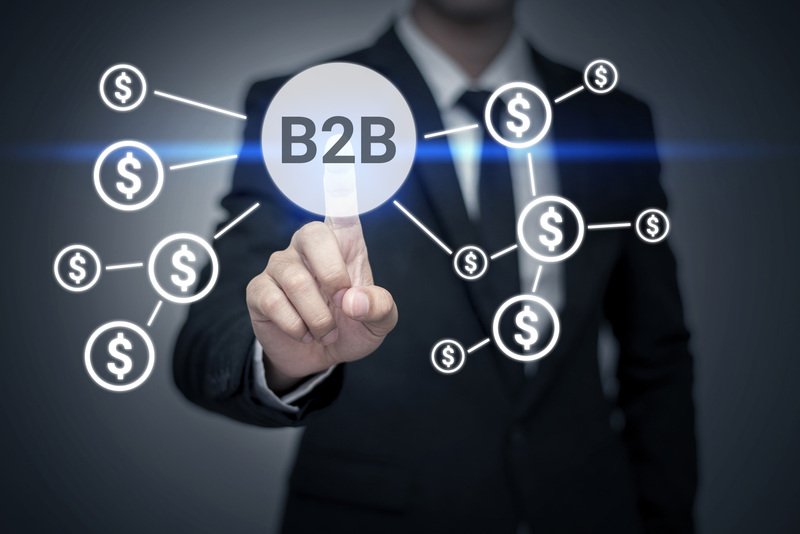 It is the requisite to understand complications involved with the processing part of accepting B2B payments. Exploring new ways to increase conversions on their website. Working on the hindrances that come in the way of sales. Restructuring the business processes for enabling better interaction with customers. When these points are looked upon superficially, one cannot find any connection of these with payment processing. But at the core, payment processing plays an instrumental part to overcome each one of the aforementioned challenges. Payment gateway sans advanced functionality can be the main underlying reason of delay in online sales. If the payment system is not in place to ensure authorized payments and supporting subscriptions completely then even a very attractive website design cannot help. Payment gateway which is not progressive and capable of handing the hindrances standing in the way of sales can contribute too little to solve the problems. A business has to present an elaborated list of payment options. In absence of right tools of payment processing, customers do not feel valued. Dream of seamless customer experience can shatter due to limited payment processing solutions. Such situations see customers getting drifted towards the competition. Complicated payment gateway(s) fail to encourage and engage customers. Businesses should avoid associating with payment processor that cannot provide them everything needed for fast and secure processing. After reading the significance of B2B payment processing, it does not need a genius to get the point. Patrons seek easy, fast and secure payment processing from any business they associate with. And contextually, B2B companies are no different. Most of the B2B merchants might share the notion when it comes to payment processing; the process is complex, lengthy and so many of conditions. It sweeps down the possibilities and hence, impact of unsuccessful payments. It minimizes the workload from department of finance or accounting. It proffers utter convenience to the customers. Getting rid of delayed payments, cumbersome paper work and unorganized business process becomes feasible with efficient B2B payment processing. What does it take to accept online payment from the customer? Is it secure to accept electronic payments? Stay tuned for these and more relevant questions to be answered by the experts. How do customers submit an online payment? A payment gateway that provides right tools to facilitate easy online payments is needed. Primarily merchants get under mentioned options, which can be used even when a website is not there. Virtual Terminal- Merchants, who want to accept card and ACH payments via email, fax or over the phone, always count on this payment solution. It is considered to be ideal for sales and customer support orders, wherever internet access is there. Company representatives can login the processor console and enter the order details required for payment on customer’s behalf. ChargeLink- Some shoppers prefer having the charge of ordering. ChargeLink lets the merchant email the payment link to patron. Using any internet-lined device, the customer can click and enter the payment information on his own. It is then submitted to complete the process. At the same time, link can be embedded in the invoice. What happens once payment information is submitted by customer? 2. The acquiring bank takes it forward to validate and own the transaction. is sent back to the acquiring bank. 4. The acquiring bank sends the response back to the payment gateway. 5. The response so generated is finally directed towards the merchant or the shopper directly. How many types of payment methods can be accepted? Credit/debit card payments and ACH payments are the most popular online B2B payment methods. Can the payment gateway integrate with the other business software used by merchants? Merchants enjoy the liberty to choose a payment processor that can partner with numerous business software programs. From leading shopping carts to top business software solutions, payment gateway should integrate with all of them. As it enables businesses to accept payments in more ways and increase efficiency, payment gateway integration with other business software should top the eligibility criterion list of every company. How secure electronic B2B payment processing is considered? Electronic B2B payment processing is found to be highly convincing as far as security is concerned, provided payment processor has given due importance to PCI compliance. PCI compliance should be the essential criteria of selecting payment processing for the B2B Company. However, it is important to ascertain the level of PCI compliance the processor is offering. Also, make sure that the service provider will take care of the compliance. How does recurring online payment works? They are actually not very different from the regular sales orders made. Nevertheless, businesses should watch out for the payment processor which comes with capability of initiating automatic subscription payments- for a month, quarter or year. Patrons are freed from the need to submit their payment information more than once. They keep paying the same amount of money, month after month for the stipulated time period. B2B folks who are ready to start their success journey, should contact the ideal payment processor. We can help you find your dream payment processor who will not only meet the above requirements but will also cater to your unique business needs.